Our courses are approved by the Vermont Division of Fire Safety. 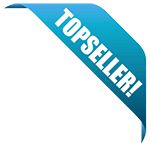 You can find us on the state's list of approved DFS electrical courses as @Your Pace Online. 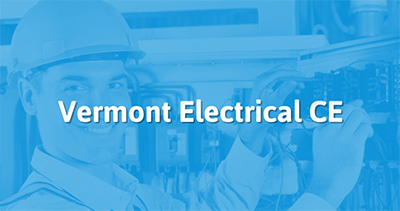 Take the continuing education to renew your VT electricians license today. All of our courses can be completed At Your Pace Online to help you meet the state's requirements to maintain your license. Once you finish your class you will have an official certificate of completion to save for your records. All Master & Journeyman Electricians are required to obtain 15 Hours of continuing education every 3 years by the last day of the month the license was issued. Specialty Electricians must obtain 8 Hours of continuing education every 3 years. All continuing education hours may cover Code changes. Before the meeting Begins John Black states that Mr. Wayne Lamberton has resigned as a member serving on the board and welcomes Mr. John Benoit to the board as a new member. The Board reviewed the minutes from the August 1, 2017 meeting. Bob Williams made a motion to accept the minutes as written, Tim Watkins, seconded the motion and the board voted unanimously to approve. 1. Chad Vancore EM-5379 Expired on 9/30/15, Mr. Vancore was not present for the board meeting as he currently lives in Arizona. The board felt that this counts as extenuating circumstances and reviewed his application. Mr. Vancore was available by phone conference call if the board shall wish to speak with him. The board members agreed that Mr. Vancore did send in his paperwork within the 2 years expired timeframe as it was dates stamped in the Barre Regional office on 9/13/17 and then just had to wait for the next board meeting. Tim Watkins made a motion to reinstatement his license, as long as it is explained to him that this is the one and only time this will be allowed and that if it happens again he would be required to test and pass to get his license back again. The motion to approve reinstatement was second by Kevin Bourdon and voted unanimous. 2. Harold Main III EM-4283 Expired on 3/31/14, Appeared to request reinstatement of license. Mr. Main stated that he originally received his license through reciprocity back in 2001. After that time, he was told by a few electrical inspectors and; also by an administrative Staff with the division of Fire Safety that he was not required to hold a license for the work that he was doing. He was told that Cell towers and Solar arrays are not required to have a license in VT. Then he was told on another job that the work he was doing on that job did require him to hold a license if there is a shelter or building on site. This is when he checked into renewing his license. At that time, he was told that he didn’t need it. He then lost 2 of his children in the past 2 years so the license was not top on his priority list. At that time Tim Watkins did mention that the work he is doing does not require a license but if there is a building or shelter he would need a permit. The board members did have much discussion on this subject. Tim Watkins also clarified that the jobs that have a building he could just not bid on those. Tim mentioned that he does not believe that the board should allow reinstatement as it is clearly over 3 years as it may set a precedence. Bob Williams stated that he did not agree with Tim Watkins and that the extenuating circumstances that they see make this so that they may approve reinstatement without setting a precedence and that he feels the goal is to have qualified electricians working in the state. Mr. Main stated that he does currently hold valid licenses in Maine and NH and has taken the continuing education to keep those current. Mr. Black stated that he also feels that his situation qualifies as extenuating circumstances. Bob Williams made a motion to reinstate Mr. Main’s License due to the extenuating circumstances and the wrong information he was given. Kevin Bourdon second the motion to reinstate. The motion was voted 3 to 1 with Tim Watkins being opposed. 3. James Beckwith, EM-5502 expired on 8/31/2015 is asking the board for reinstatement of his license. Mr. Beckwith did send in his paperwork prior to the 2 years expiration date. Mr. Beckwith stated that he left one job and was in between jobs for a while and he misplaced his renewal information. By the time he realized that his license was not valid and sent in his paperwork it was past the one year grace period and barely with in the 2 years. He does still currently hold licenses in 6 states. Tim Watkins made a motion to reinstate Mr. Beckwith’s license. The motion to reinstate was second by Kevin Bourdon and voted unanimous. The board reviewed the proposed Board Meeting Dates for 2018. Seeing no issues with the dates Tim Watkins made a motion to accept the meeting dates as proposed. The motion to approve was second by Bob Williams and voted unanimous. Discussion on Complex Structure definition -Don Pierce spoke to the board regarding his concerns on installations by excavating companies not in structures that don’t require inspections. These types of installations being: pools, outside lights, bulk storage units, even including single family homes, ect. In this case where an Electrical inspection is not required the Power company then becomes responsible for the Job. John Black mentioned that the Legislators are aware of the deficiencies as those installations are not covered under complex structure. Mr. Black also mentioned that “Complex Structure” is also a term used in other Statutes and the Director is already working with the legislature on a correct definition. This can’t just be listed in the Electrical rules as it ties into other codes so the definition has to be consistent in all codes. If the definition is changed so that it includes these inspections, the division would then need more inspectors to help handle the extra inspectors this would create throughout the state. Bonnie Chamberlin with VTC asked for clarification on the Exam prep courses. She mentioned that she has an individual that has taken and failed the test 3 times and would be required to take a test prep course prior to being able to test again. This student has chosen to take the 4th year of the apprenticeship program again to better prepare for the Exam. Bonnie asks the board what they would accept when he finishes to show that he is ready for the Exam? The board feels that a letter from VTC stating that they have taken and passed the 4th year again. 1. Prior to the Review of continuing education requests Tim Watkins did a brief overview of what the board members are looking for in the applications as a reminder to the board members and so that John Benoit would also be able to review them. 2. While going over the requests the board members mentioned that it would be helpful to note on the applications if a course was a new provider or if this is a company that has previously been approved and are updating to the new code. 3. Kevin Bourdon also asked if it would be possible to get the agenda and topics that are on the agenda for discussion ahead of time so that they can review the materials prior to the board meeting. Bridgette Hutchinson stated that the proposed agendas should be able to be sent out via email 1week prior to the meetings for review. o Stanford Carlton EM-6602 Board Denied application stating that Affidavit of Experience shows only Fire Alarm and Security System Installations. Can Be approved for Type S license for Fire Alarm Or security. Motion to adjourn at 11:15am was made by Kevin Bourdon and Tim Watkins. The motion was voted unanimous, Meeting adjourned.